Between the picturesque colors and cooler weather, fall weddings are a dream come true for many brides. They’re ready to embrace all the fall trends that they can. But what if you’re planning a fall wedding, and don’t want to incorporate any fall trends? While there’s nothing wrong with fall décor, themes, or traditions—if that’s not how you picture your big day, don’t do them! When you’re planning a wedding, friends and family can get opinionated and spread some wedding myths of their own. But fall wedding planners have a whole other list of myths they’ll hear. Keep reading to find out the six fall wedding myths you’re likely to hear—but do not have to follow. If it doesn’t fit your dream wedding, don’t feel pressured to use navy, cranberry, or plum. While those shades complement the oranges and reds of the season, they do also make the photos dark, especially with shorter days and darker photographs. Gold is a year-round color. Pair it with peach for a lighthearted and bright fall color scheme. And if you still want an outdoor or rustic wedding, the natural woods and greens will blend perfectly with the golden peach duo. Or pumpkin. Or apple. There is nothing wrong with maple anything—maple syrup actually makes for a really good favor! But especially in New England where we’re located, maple and pumpkin are everywhere the second the weather turns brisk. For a similar—yet still unique—flavor, opt for almond or amaretto. These flavors can be woven nicely into the main dishes or the dessert. They can even complement your drink menu, too! If you were concerned about maple leaves at your wedding, but still want an outdoor feel, bring in the branches, but leave the leaves outside. The maple leaf is the signature trademark, so avoid that and your rustic wedding can still feel, well, rustic! Most parts of the U.S. are still warm in the fall—especially on a sunny afternoon—and long-sleeve options for bridesmaids are limited. You’re hard-pressed to find a long sleeve style everyone loves, and shrugs and coats are just as difficult. Gift your gals custom blankets to use for pictures and the reception. That way, your chilly friends can stay warm, and you’ll still get that warm, cozy fall feeling for your memories. If it’s early enough in the season (or you’re on the west coast), an outdoor fall wedding may be an option. But don’t feel pressured to take photos with trees if there aren’t any around you—or if you just don’t want to. Photos of throwing leaves can be fun, but they can also make a mess and get your dress dirty! You can choose a backdrop that’s something other than trees—like this New Hampshire castle. Or find a local body of water, or a venue with a gazebo. You may inevitably get trees in the background, but they won’t be the focal point for photos. A quick search for fall wedding ideas shows an abundance of candles—likely because there’s less daylight in the fall. But that delicate and hushed atmosphere can contradict the brighter, lighter wedding theme you want. And that’s perfectly OK! If you do want extra lighting, hang twinkle lights or use lanterns to set the mood for a dim space, or an evening reception. Fall is, after all, a magical time of year, so don’t be afraid to bring that magic to your big day. A barn will give your wedding an unavoidable rustic feel. And if that’s not your cup of tea, don’t do it! It can be hard to find one available on your chosen weekend, and if it’s a popular spot, it might not feel unique to you. Find a venue that has lots of space and light—maybe something on the beach, or indoors with enough windows to feel like it’s outside. It’ll help if you first choose your theme and the feel you want to have on this important day. From there, you can find the venue that will accomplish that. 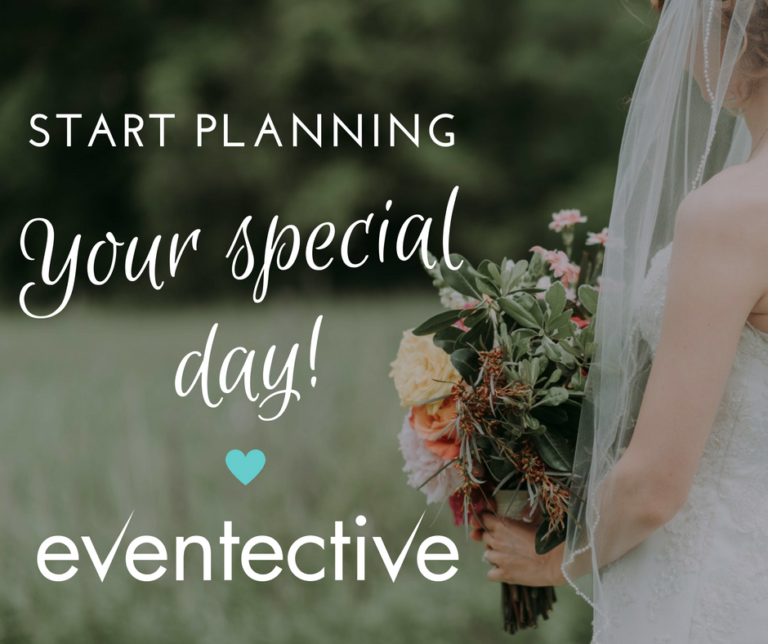 Still searching for your perfect venue? Start your search here.